H G Stacey Ltd is a family run business started in the late 1940’s and is now run by Paul Stacey, a fourth generation stonemason. 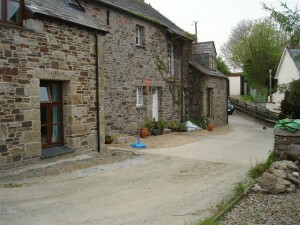 We have manufacturing premises and a display at Tremar Coombe near Liskeard and a shop with a display at Weston Mill, Plymouth (next to the Cemetery). Unlike many firms today, we are not just a business selling imported products. We pride ourselves in the fact that we have the masons and have retained the traditional skills here at our works near Liskeard, to make almost anything that might be asked of us in granite, marble, slate or stone. 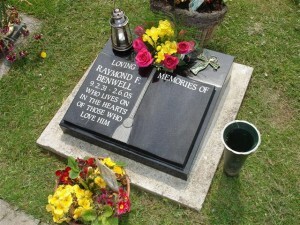 We provide a full service to our customers from renovation works on existing memorials to supplying new memorials. We can supply any stone required in any range of colours and finishes. We make a variety of commemorative seats i.e. 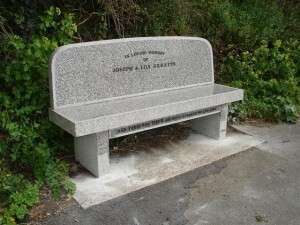 bench type seats, many of which can be seen around the south coast. We also make birdbaths, sundials and items for public parks and ornamentation. Worktops for kitchens are normally made in granite or slate. 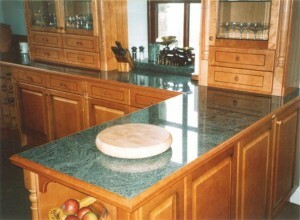 Granite can be polished or honed (eggshell finish) and is very hard and durable. Once sealed, granite is resistant to most oils and fluids spilt in the kitchen. We have produced all types of building masonry in the past for building contractors and private customers. We can produce lintels, quoin stones, coping stones, cills and datestones etc. As you can see from the logo we display, we are long term members and supporters of NAMM. The National Association of Memorial Masons is a trade association that has just celebrated its Centenary, and sets standards for the industry in which we work.